The FBI plays a huge supporting role in its environmental crime mission – assisting their partners in the Environmental Protection Agency, the U.S. Coast Guard, and local departments nationwide policing the nation’s environment. Accordingly, members whose background also includes FBI Environmental Crime can be a great asset to someone looking for an an investigator and/or needing an expert wanting to conduct an investigation. Remember the Exxon Valdez oil spill in 1989? The FBI and it’s sister agencies conducted a massive criminal investigation, resulting in numerous “guilty” pleas and securing fines totaling $1.2 billion. And in 1992, the nuclear weapons facility in Rocky Flats, Colorado pled guilty to environmental crimes after yet another massive FBI investigation. Organized crime—generally involving waste management. Conducting investigations, FBI Special Agents target suspect parties involved with Illegal Dumping—violating Clean Water and Clean Air, Rivers and Harbors, Boundary Encroachments, and Archaeological Sites. Additionally, FBI Special Agents assist and train task force members and law enforcement officers with combating environmental crime as they relate to police patrol tactics and criminal behaviors. Environmental crime enforcement is generally divided into three  distinct areas of environmental law: 1.] Civil enforcement – bringing violators into compliance with existing laws; 2.] Cleanup enforcement – forcing responsible parties to clean up hazardous waste sites and/or pay the government for the cleanup; and 3.] Criminal enforcement – prosecuting the nation’s most egregious environmental crime violators. 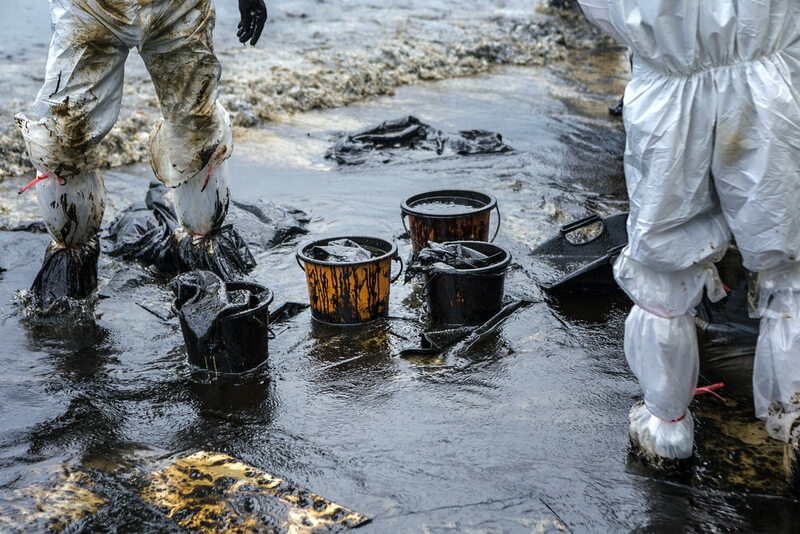 Members who have listed FBI Environmental Crime as a skillset can be extremely helpful to law firms, security professionals and journalists looking for an expert, wanting a professional opinion pursuing litigation, an investigator to conduct an inquiry and/or commentary producing a story on the environment. Asked to review evidence, members listing FBI Environmental Crime can also render a professional opinion, testify in court and/or produce an affidavit supporting a case. Besides having a background in FBI Environmental Crime, these members also have important organizational, reporting and interviewing skills, needed to collect and present evidence to a judicial authority and/or a media outlet wanting to tell a story. Needing help with a security plan because of environmental concerns, members listing FBI Environmental Crime in their profiles can provide meaningful incite and suggestions, enhancing a security product, ever mindful of regulations governing the nation’s natural resources. Listing FBI Environmental Crime as a skill these members are indicating they have training, expertise and contacts–crossing many different local, state and federal agencies involving the environment … not to mention commercial and private industries. Likewise, members who listed FBI Environmental Crime as a skillset can be helpful to journalists, needing commentary, wanting to write an article or produce a story on the environment. Members with FBI Environmental Crime as an expertise can often identify individuals to be interviewed and avenues to pursue, useful to enhance and/or document a story. And many FBI Environmental Crime members also have media experience, working with print, television and radio news mediums, providing commentary for in depth stories and sound bites when asked. Looking for an FBI Environmental Crime—visitors need only use the website’s search feature, entering the appropriate skill, as well as the geographical area of preference to make contact with an FBI Environmental Crime expert, using the information provided. Retired FBI Agents and Analysts, interested in securing a Directory listing and/or a personal email address who have a background that includes FBI Environmental Crime, need only submit a brief online application to join the website.